Great Location!! 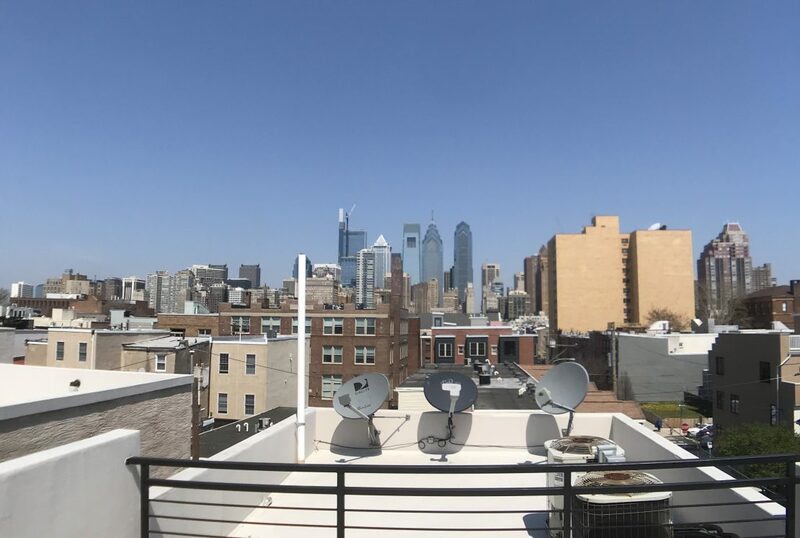 Located on Christian Street extremely close to Rittenhouse Square, Graduate Hospital, highways, public transit, grocery stores, bars, and restaurants. Take a stroll to Walnut Street for some shopping or to the Italian Market for some fresh produce in no time at all. In the middle of all the action! High end new Luxury Construction in the highly sought after Graduate Hospital area. This spacious 2 Bedroom 2 Bathroom unit comes with everything you can think of including a huge private roof deck. Feel like royalty with soaring ceilings and recessed lighting throughout. The central air and heating system keep you comfortable throughout the exhausting summers and frigid winters. Beautiful hardwood floors throughout the apartment make for easy cleaning. Kitchen boasts a fantastic breakfast bar, all wood soft close cabinets, granite counters, gorgeous tiled back splash, stainless steel appliances including dishwasher, stove, microwave, and refrigerator. Each bedroom can have its very own bathroom with glass tile inlays, Italian porcelain tile, quality euro style vanities, and more. A laundry room with stack-able washer and dryer means no more Laundromat.